No, more brown like a cockroach skin. Could it be a sea sailer i stumbled across a picture of one and it resembles it. 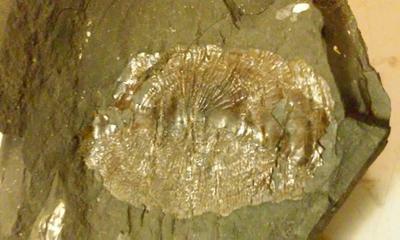 Its not a fossil imprint but the actual creacher. Thank you hope to hear from you again.